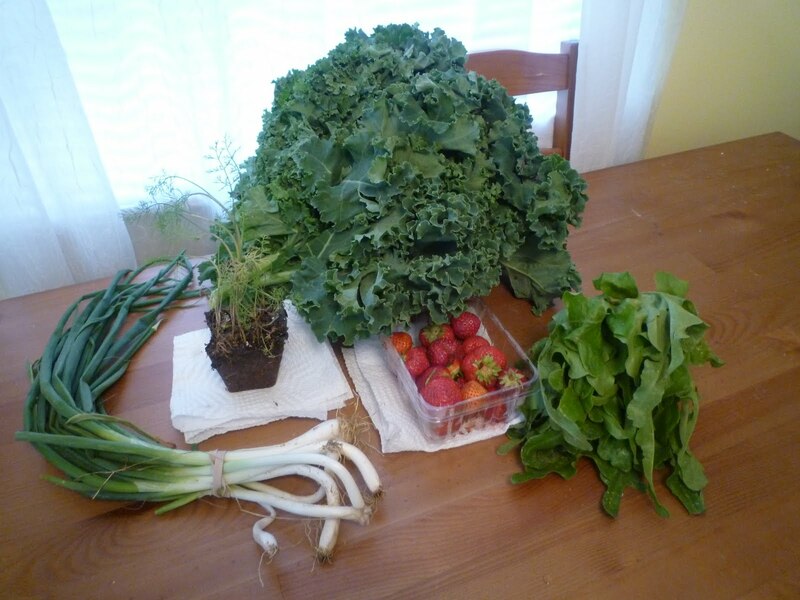 Onions, a potted dill plant, strawberries, a glorious amount of lush kale, and salad greens. I ran outside and planted that dill in my garden, which has already supplied me with a generous amount of spinach this year. The other plants (zucchini, peppers, cherry tomatoes and watermelon) are all looking good as well. I’m crossing my fingers for a good harvest. In the mood for simple comfort food, I decided to dress up one of my favorites with some of that gorgeous-looking kale. 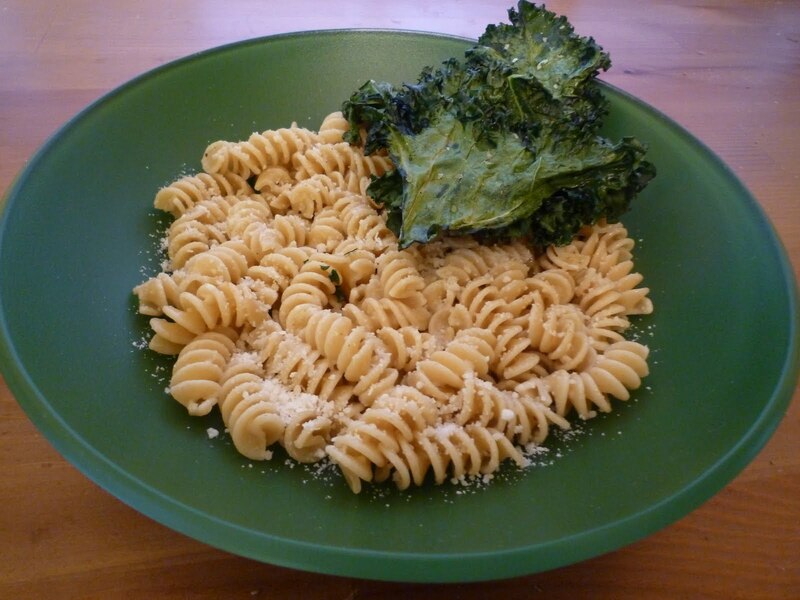 It’s a pretty basic pasta dish: Whole-wheat rotini tossed with olive oil, coarse salt, lots of freshly ground black pepper, and a few handfuls of grated parmesan cheese. Pre-heat an oven to 300 degrees F. Simply remove the hard ribs and stems from a bunch of kale. Toss the leaves with a little bit of olive oil and then lay them in a single layer on a parchment-lined cookie sheet. Sprinkle the leaves with coarse salt, pepper, and garlic powder and then bake for 20-25 minutes or until crispy. Cool on a rack. I like to crumble the kale chips over the top of the pasta. Mmm, delicious. And Tuesday-night-easy.